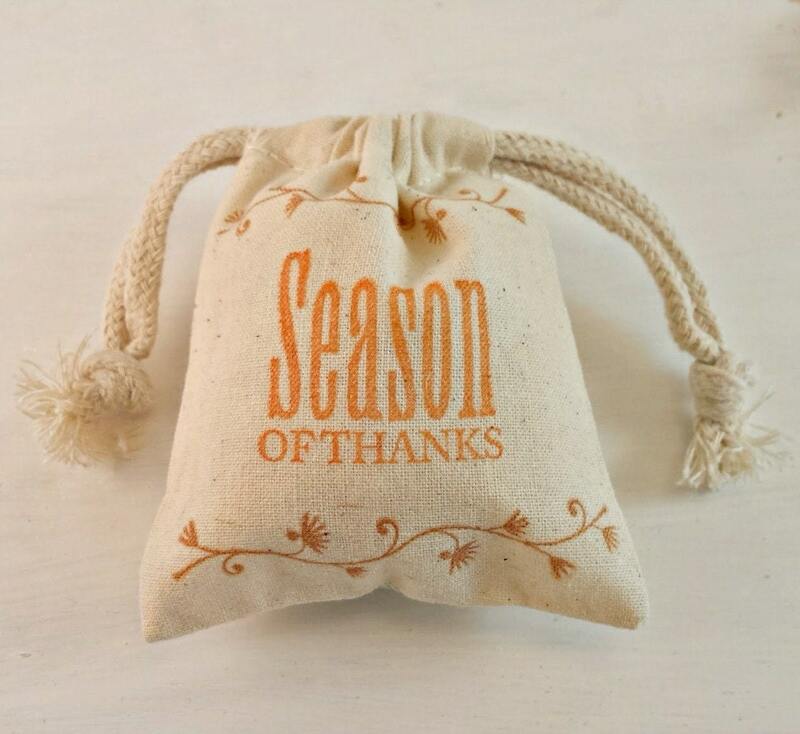 Start your autumn season right with our Season of Thanks scented sachets. 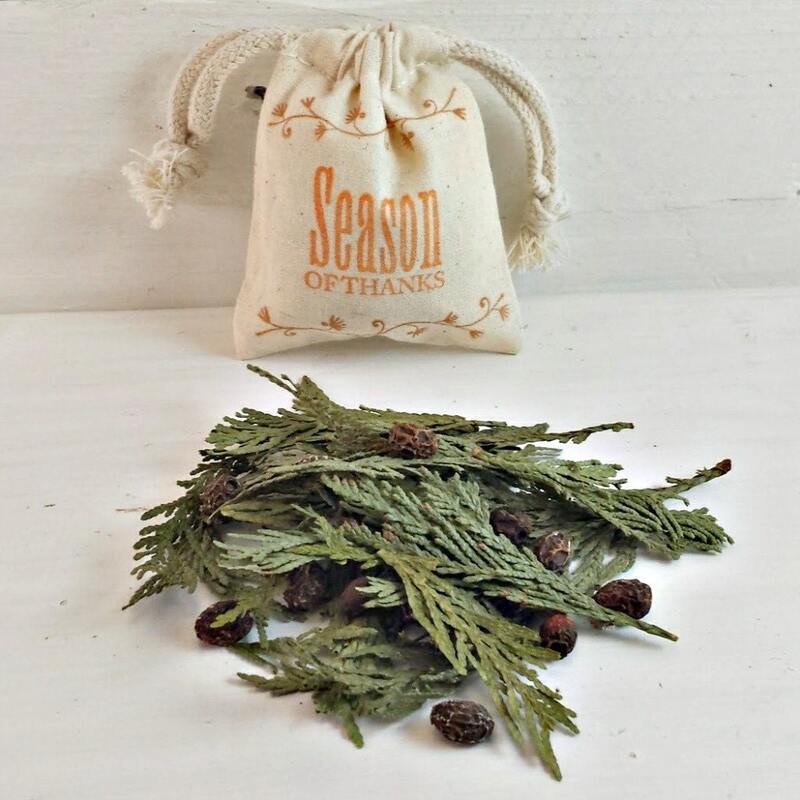 Each stamped 3"x4" muslin bag is filled with wild crafted cedar tips and organic dried Hawthorne berries. The scent of these wonderful sachets will make you think of fresh, dripping maple and warm rich coffee. You will think of pure maple syrup that is touched with a hint of orange peel and blackberries. The scent of wood and fallen leaves and a base of vanilla cream coffee results in a warm and sophisticated scent that is perfect for the fall season! 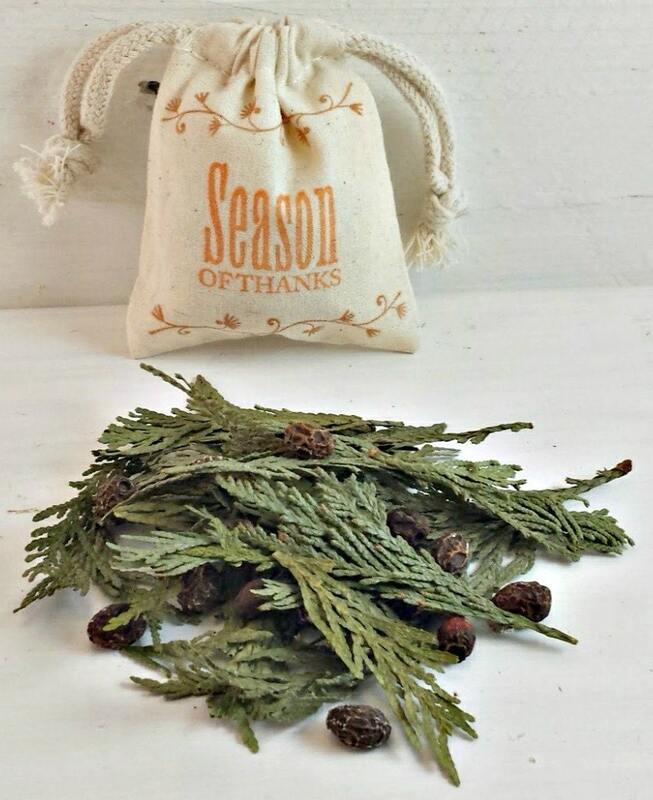 These sturdy 3”x4”cotton muslin bags are hand-filled with a generous 1/3 cup of organic herbs. These sachets will be incredibly aromatic for a long, long time -- to scent your drawers and closets, to repel moths from your knits and yarn, to freshen your car, or use in your own home crafts! No synthetic fertilizers or chemicals are used throughout the herbs and dried fruits lifetime. For use in teas, infusions, baths, facial steams, cooking, baking and more. SORRY - FREE SHIPPING COUPON CODES DO NOT APPLY TO BULK ORDERS.